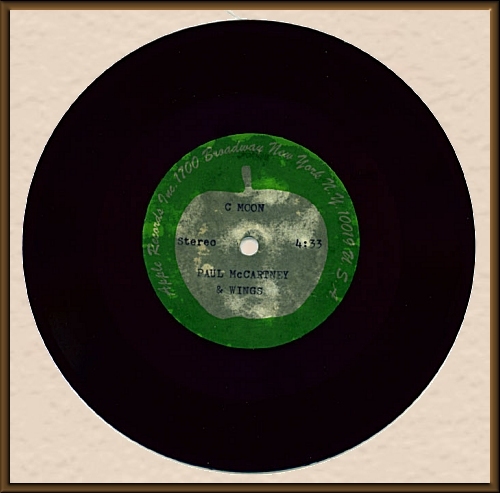 THE SOURCE - Acetates - Apple - Paul McCartney "Hi Hi Hi"
45 Record Metal Acetate NM! POSSIBLY ONLY 1 OF 2 IN EXISTENCE! Here it is, folks, an extremely rare burgandy color acetate. The scans don't show the true color, but under a light, it's shows a beautiful burgandy. 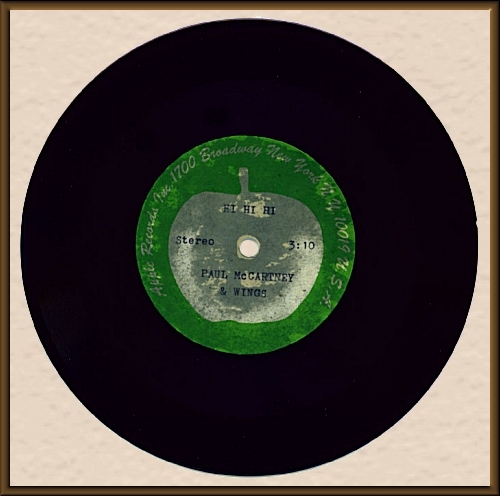 This acetate 45 shows heavy bleed through on the labels (not unusual for acetates)...the tracks on both sides of the acetate are NEAR MINT! 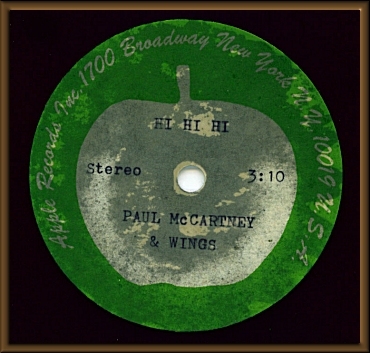 Although it has a tiny chip on the edge of the record, which doesn't affect play and the metal can be seen (see third scan down on HI HI HI side at approximately three o'clock), it still grades NM. How often do you get to see an acetate in this condition? 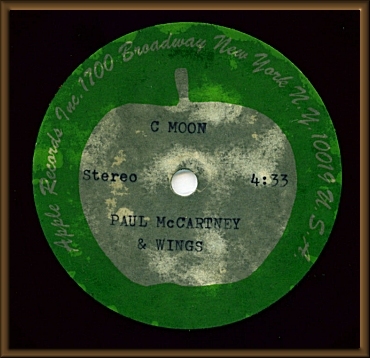 I'm going to stress this again, this McCartney acetate is extremely rare! Possibly only one of two in existence, according to professional sources that I've contacted. Check out the scans. This is a must have!